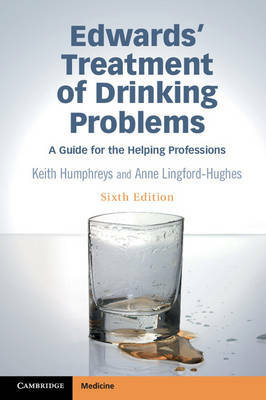 Presenting state-of-the-art, accessible reviews of the expanding science of alcohol treatment, integrated with down to earth, practical guides to the management of a wide range of clinical situations, this new edition is compassionate toward patients, optimistic about treatment, and candid about the clinical and professional challenges embedded in the treatment endeavour. The coverage updates the science that has occurred in the half-decade since the last edition, most notably in the areas of neuroscience, neuroimaging and pharmacotherapy, and includes expanded discussion of historical and public policy forces that have shaped the alcohol treatment field. The book recognizes that drinking problems occur across all social structures and cannot be neatly confined to the specialist addiction treatment sector. This text is relevant to all those working to help those with a drinking problem, meeting the needs of general medical practitioners, psychiatrists and other medical specialists, nurses, psychotherapists, counselors, psychologists, alcohol support workers, social workers and occupational therapists, amongst others.